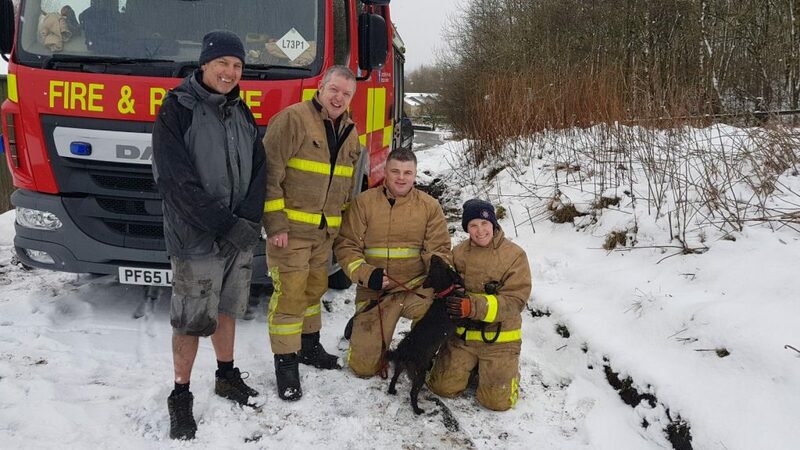 Firefighters from Bacup were called to reports of a dog which was trapped underneath a metal container near to a commercial premise in Stacksteads. When they arrived at the scene they found the dog was stuck under a large steel container. They safely rescued the animal using a pedal cutter, partner saw, holmatro equipment and a high pressure air bag. They were at the scene approximately one hour fifty minutes.